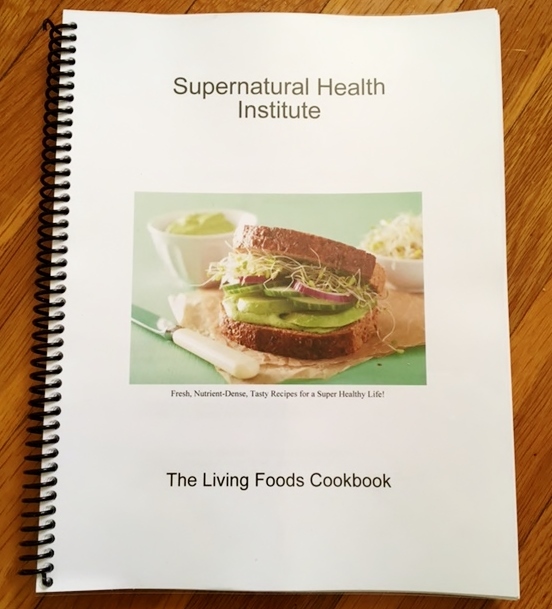 The Living Foods Cookbook has arrived! 123Â flavor-packed, nutrient-dense recipes that will thrill your taste buds and satisfy your body's needs for deep nourishment. This cookbook helps you utilize whole and organic foods to create real "food memories"! These recipes are all personal favorites (including our Holiday Favorites section), all of which we have been enjoying in our home and with our guests. The creations you'll find on each page are fresh and clean, creative and satisfying. They are gourmet in design, but simple to make! Many of the recipes are also homesteading favorites, in that they show you how to make the wholesome foods that were staples for our ancestors. Learn how to make sprouted foods, nut cheese, nut milk, raw desserts, vegetable pasta, savory meat dishes, vegetarian entrees, and more! The recipes are broken down by traditional categories (beverages, soups, salads, etc. ), and also by meals of the day, etc. Enjoy this cookbook for yourself, and give as gifts to your family and friends! 1/2 cups water (or less, if you like the sauce thicker). 1. In a large bowl of warm water, soak a spring roll wrap for about 11-15 seconds, until it is flimsy. 2. Place on a teflex sheet on a cutting board. 3. Place (not quite in the center- off to one side) a few shrimp, veggies, rice/kelp, and spices over top, being careful not to over fill. 4. Fold 2 sides in. 5. Take one long end and tuck under, and begin to roll, until you've made the spring roll. 6. Cut, if you like, or, leave whole. 7. Mix the sauce together in a blender or food processor (reserving nut pieces until after), and enjoy with the rolls!